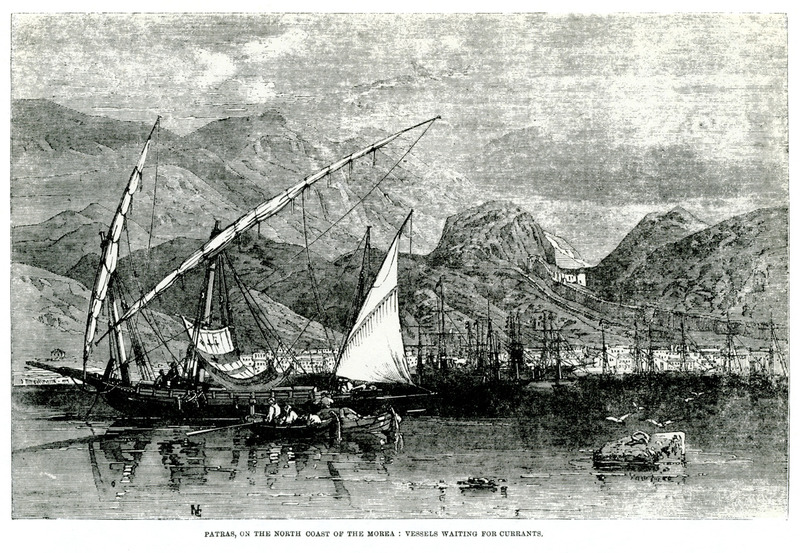 Port of Patras, 1861. On the right, the walls of the city fortress. 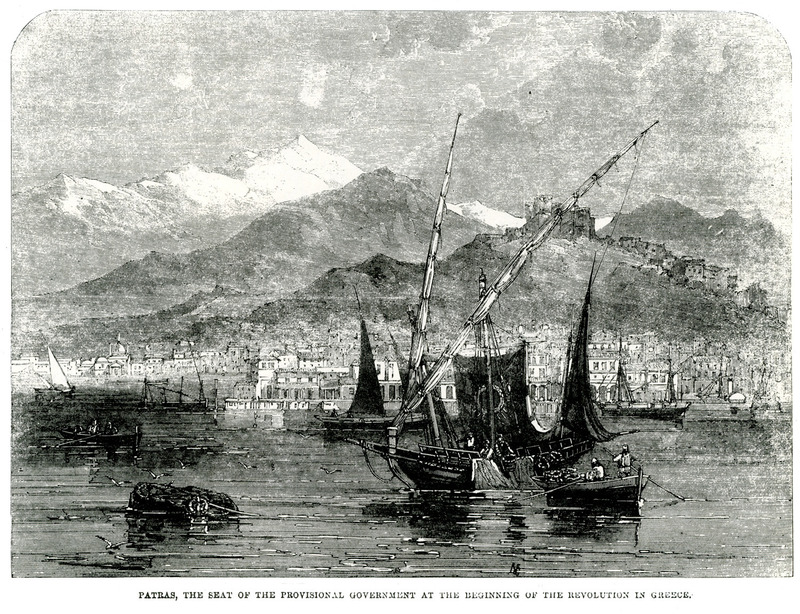 Port of Patras, 1861. 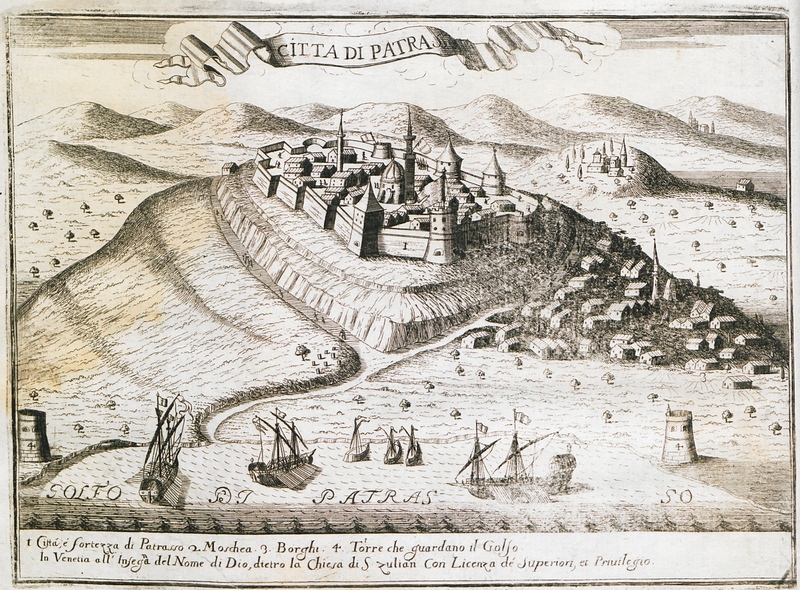 On the right, the city fortress.